Equipment at Park City Mountain blowing snow over part of the ski area during the resort's first day of snowmaking. Park City Mountain Resort is set to open Wednesday, and for the first time the resort will start the season by opening both the Canyons Village and Park City Mountain base areas. The Payday, First Time and Three Kings lifts will open on the Park City side while High Meadow and Saddleback lifts, both accessed by the Red Pine gondola, will open on the Canyons side. "We've got the typical first day celebration at the Park City side with music," said Bill Rock, senior vice president and chief operating officer at PCMR. 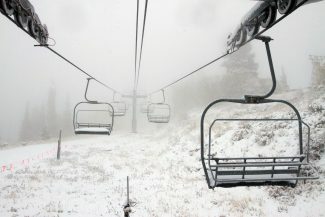 Rock said opening both sides was a conscious effort made possible by a push from the resort's snowmaking team, and by a stretch of cold weather, which has made preparations for this season "materially different" from 2017, when the resort was forced to push back opening day from Nov. 17 to Nov. 23. "It feels like we have a lot of momentum, great cold weather; and it looks like snow is on the way," he said. Opening day will also see the debut of the new learner's area, High Meadows Park, serviced by a new high-speed detachable quad lift at Canyons. "We did a big grading project, so it's really wide," Rock said. "It has a variety of different pitches for people to learn on. And what's fun is it's got adventure trails. People like to ride these little trails through the trees, so we purposefully made those." Red Pine Road also got an upgrade: The return slope from Tombstone to the bottom of the Red Pine area was fitted with new snowmaking equipment. "In more challenging snow years, it becomes kind of a critical path," Rock said. "It keeps the resort connected. 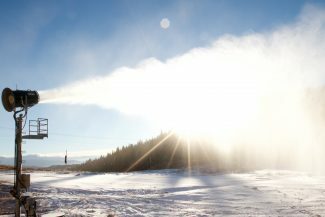 With Red Pine Road snowmaking we can open Tombstone a lot faster, which means we can get to some of the best terrain on the mountain – over on Iron Mountain and 9990, and the connection to the Park City base. 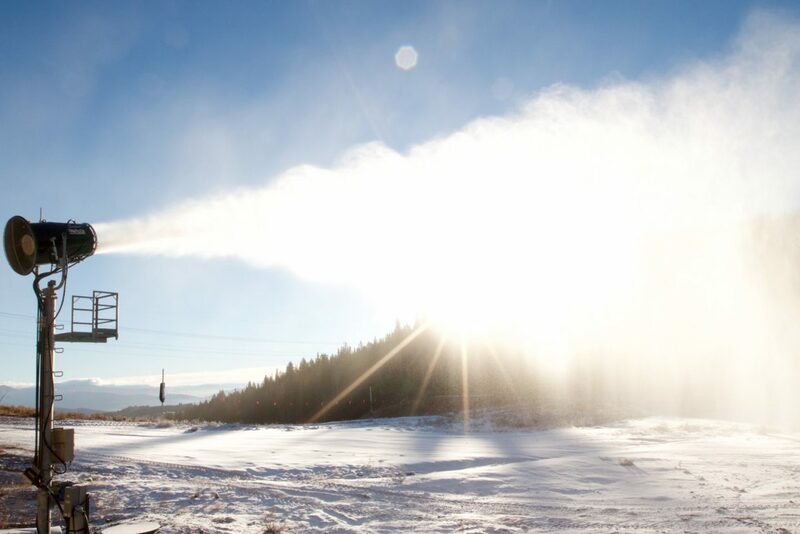 So Red Pine Road snowmaking is really helpful for us in accelerating what we can offer our guests." Then there's the dining upgrades. The resort has renovated both Cloud Dine and Mid Mountain Lodge restaurants. Cloud Dine got a 200-seat expansion. "One of the reasons people love that restaurant so much is the food, but the second is the view," Rock said. "By expanding the restaurant, we actually opened up some more views across to Canyons. I think people are going to be pleasantly surprised." Mid Mountain Lodge received a full renovation, inside and out. Rock said the restaurant's exterior has been restored to its original aesthetic of when it was a wood-framed, 19th century boarding house, and a full bar has been installed inside. 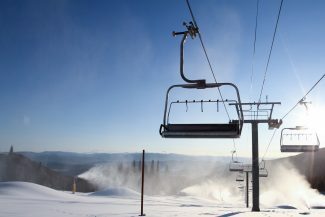 Rock described the renovation as "transformational," and said it will be a welcome change for those who frequent the restaurant and the McConkeys Express lift, who will now be able to enjoy a glass of wine or a cocktail out on the deck. On Tuesday, the day before the lifts start running, Park City Mountain Resort is hosting "Wake Up Park City," a charity event in which the resort gives away 1,500 cups of coffee served in collectible ceramic mugs and donates a dollar to a local charity for each cup given out. This year, Vail Resorts will donate to The Christian Center. Those interested can stop by one of the following coffee shops to receive a free mug and coffee, which in turn allocates a dollar to the Christian Center: Starbucks on Park Ave., Starbucks in Kimball Junction, Hugo in Kimball Junction, Java Cow on Main St., Wasatch Bagel in Old Town, Jupiter Java at the Park City Base Area, Lucky Ones in the Park City Library, Atticus on Main St. and PC Bread and Bagel in Pinebrook. Opening day events are scheduled to begin at 8:30 a.m. at the Park City Mountain Village with live music, giveaways and complimentary hot chocolate and coffee. The first lift chairs will leave their huts at 9 a.m. on both sides of the mountain, with a ceremonial banner-breaking at Payday. The Alicia Stockman Band will perform at 2:30 p.m. on the Payday deck. On the Canyons side, the Tony Oros Trio will start playing at the same time. Both Canyon Mountain Sports at Canyons Village and Legacy Sports at the Park City Mountain Village will be open for rentals. Those who haven't picked up season passes yet should get a move on. Nov. 18 is the last day to buy the Epic pass in all of its forms, including a steeply discounted one for veterans.